Import data from an Excel File into a dataTable but DataTable return empty column why? In this article I am going to explain, how to solve the issue of generating empty coulumn in DataTable while importing data from Excel File. I will be solving this error using JET engine's additional property called IMEX . In our project many times we have to import data from excel into data table, recently I got one issue while importing data fro Excel to DataTable, I was not able to upload data of a particular column values into data table. 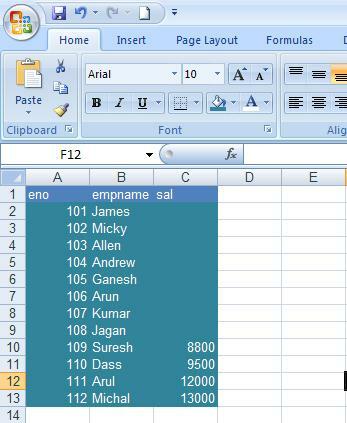 For example I have excel data like below screen shot. Reason was that issue OLEDB Driver is misunderstood column data type based on the value present in that column. You can use IMEX properties to define that field types may be text. Here in this code snippet I have add additional Extended property to denote Excel column values contain mixed of text, number etc. 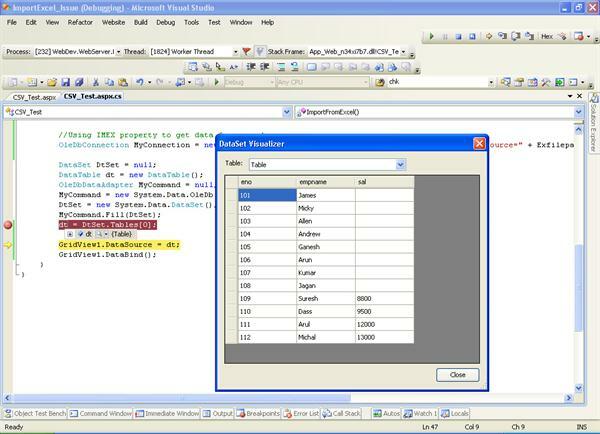 After using IMEX property now check the output of datatable, it returns correct column all values see below screen shot output. What is IMEX property? Why we need to use in connection string? IMEX property is used to tells the driver to always read "intermixed" data from the excel sheet like numbers, dates, strings etc data are present in that column. So take that column data as text during import data from excel. 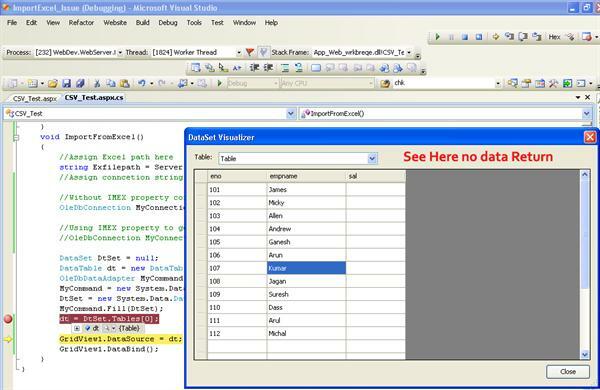 I hope this article is solve your Import data from Excel empty column error issue.